Africa week 2017 a huge success! Last Monday, the Afrika week started again. Our simple but very effective ‘like-for-a-lolly-action’ was immediately very successful (we collected 195 new likes in only one week!) and promised much good for the rest of the week. The zumba following was also very nice: a sportive start of this week in African style. On Tuesday, we had our annual pubquiz. An integral part of the Africa week and also this time a cosy night in which MUSTANGH-teams were trying to beat the regular teams of Edd’s Cafe. In the end, the Edd’s Café teams were the best. After some MUSTANGH shots, we ended the night and went to our bed. Wednesday, we had a short break, although our like-action was still very effective and selling tickets for our lotery was also going very well. After this little rest, we were able to make our last activities on Thursday as good as the first ones. 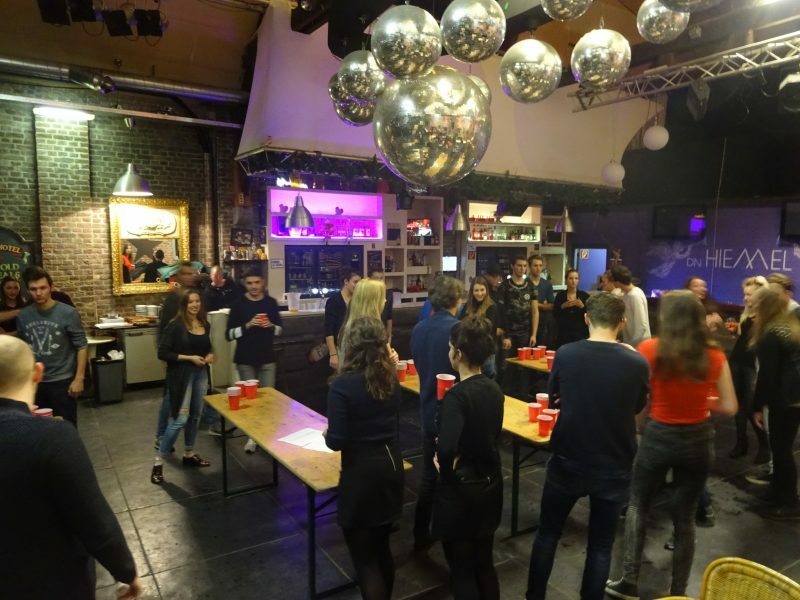 We cooked an Afrikan three course meal at Saurus and the week was closed in D’n Hiemel, where we organised a beerpong tournament. Thrilling till the last throw and in the end, Team Henk won this competition. In short, it was a wonderfull week we will always remember! A more detailed report of our activities can be read in our next newsletter. Curious? Sign in by leaving your emailaddress on this page. The lotery winners will be pronounced on Facebook! Previous Previous post: Afrika week 2017 is coming!